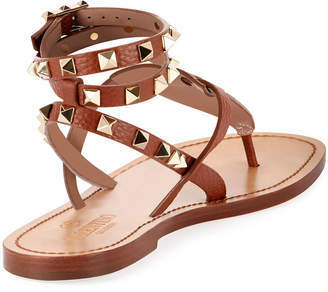 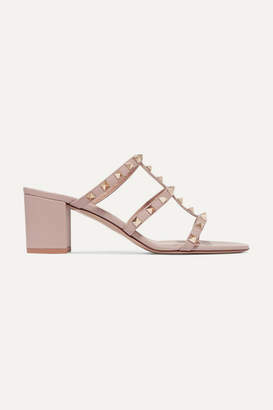 Valentino - Valentino’s beige leather Torchon Rockstud slides will add a touch of opulence to your warm-weather edits. 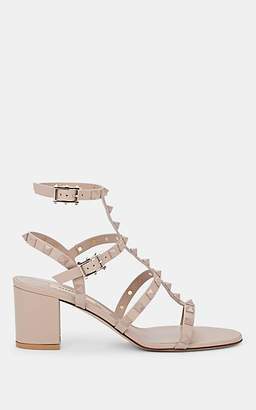 They’re crafted with cage-like straps adorned with pale gold-tone metal pyramid studs, then trimmed with rose-pink satin rope around the mid-sole. 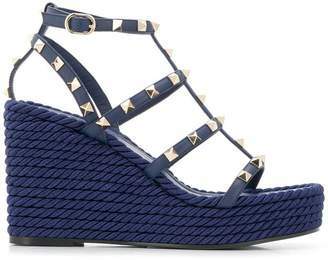 Try pairing them with a linen midi dress for a charming vacation ensemble.